I just heard about a brand NEW fusion splicer coming out from Sumitomo! Sumi hasn't even released this splicer yet, so we get first rights! Pretty Cool, huh?! Well I thought so... take a look at what the NEW Type-46 TomCat PLUS fusion splicer will be offering. This splicer just might be right for you - it's fast and it's efficient! Sumitomo has introduced the first and only fixed v-groove fusion splicer with built-in dual heat shrink ovens and automatic splice and heater functions - making the TomCat PLUS the FASTEST v-groove splicer available today. There are so many more options to share, but these are the ones that make it the FASTEST! Please call us to find out more info, you get a real person, in the United States who have awesome product knowledge!! We can fill you in on the rest of the splicers options and get you into the right splicer for you. 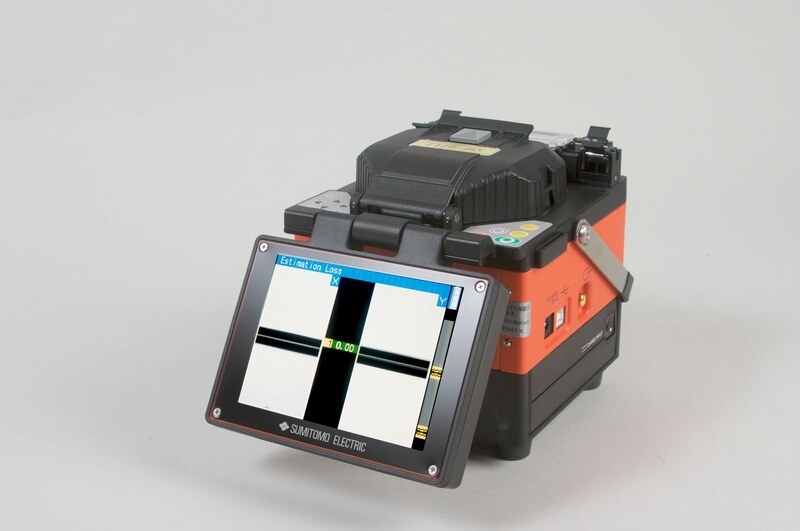 FiberOptic.com is an authorized distributor for Sumitomo so trust us, these splicers are REAL! We will be selling these splicers in 3 different kits... so 3 different pricing tiers... you will fit into one of them I promise!